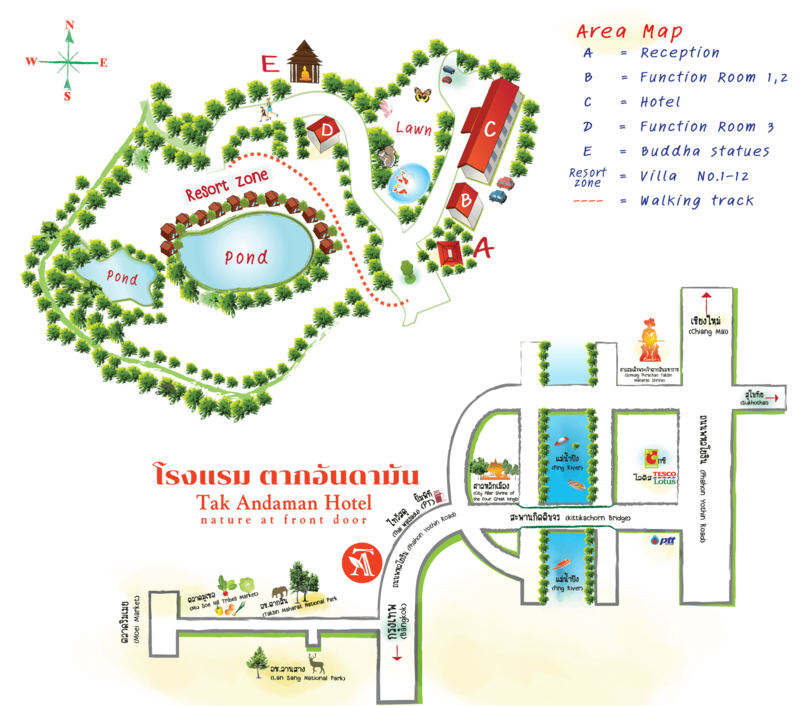 Tak Andaman Resort and Hotel is located in Tak Province, North of Thailand. Tak Andaman Resort and Hotel has been recognized as one of the best accommodation on the way to Chiang Mai, Mae Sot and Sukhothai. All rooms has air-conditioning, fridge, T.V., private bathroom or shower room, with lukewarm water. Tak Andaman Resort and Hotel is the place that you can stay comfortably at an affordable price. The nature is at your front door.